These 0.1" (2.54mm) spaced headers really come in handy when you're prototyping. 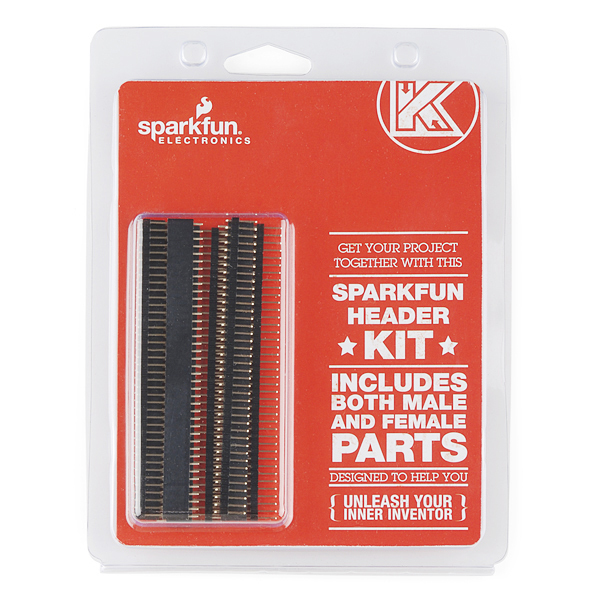 Straight pin headers are perfect for connecting breakout boards and other devices to a breadboard; Right-angle headers get the job done when there isn't enough room for straight headers; And female headers are useful when you want to hook something up with jumper wires, we use them all of the time and can't get enough of them! 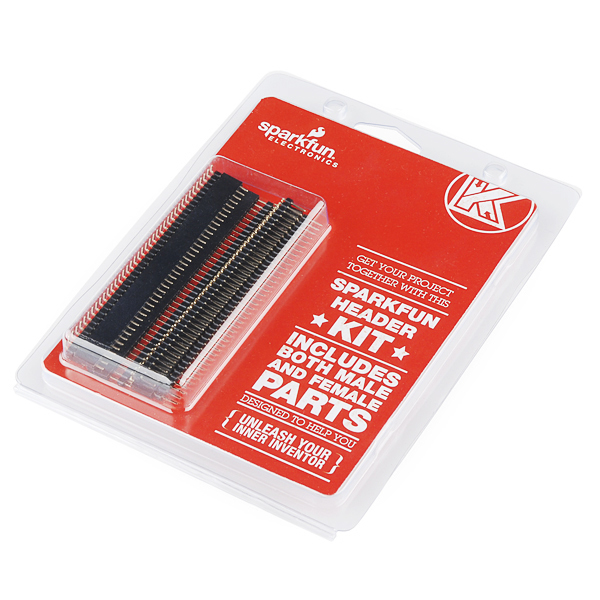 This kit includes a fistful of headers that should hold you over for awhile so you won't have to stop in the middle of your next project and go looking for headers. The male headers can be snapped apart by hand or with a pair of wire snips, the female headers come apart with wire snips pretty easily but you will 'lose' one pin for every cut you make. 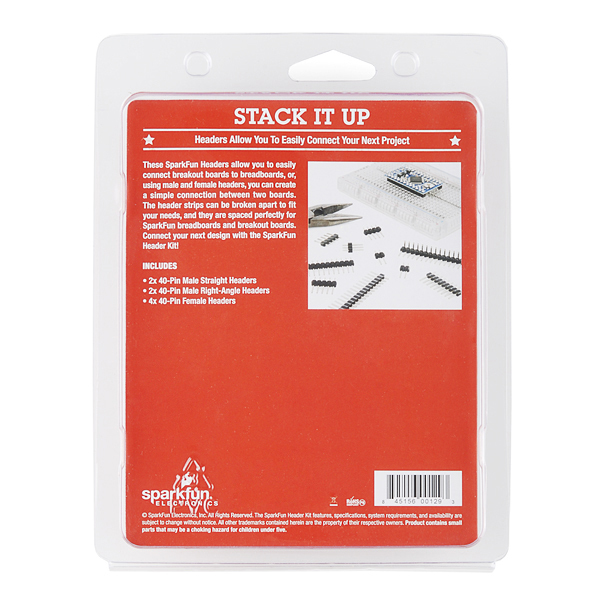 Pick up a pack of headers with your next breakout board, you know you'll need 'em! I'm pretty sure that the cost of this kit is less than the sum of its parts. Could we have a non-retail version of the same collection to both save money and save the earth? If you live near Berkeley, Al Lashers is a good place to get them, no packaging or shipping to pay for.